Last night I finished some more figures for Retro Raygun. 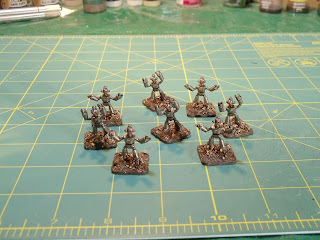 These figures are all metal (with the exception of the last one) and are produced by Hydra Miniatures. 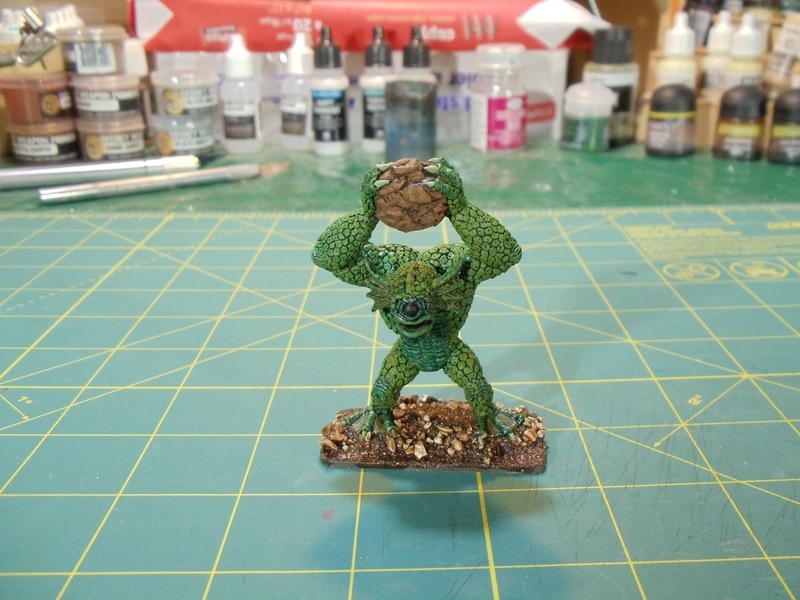 I have to say, I love painting these figures up, they're simple, clean and full of character. 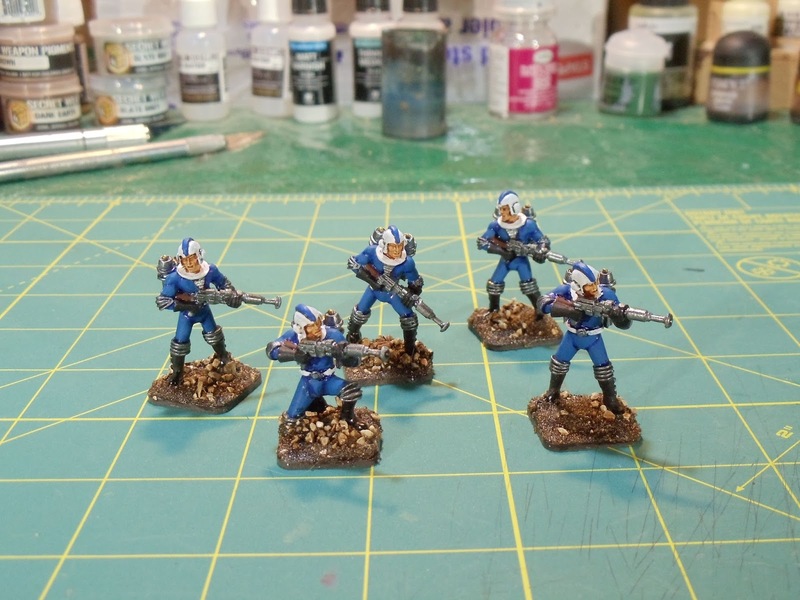 First up is a Galacteer Tactical squad. 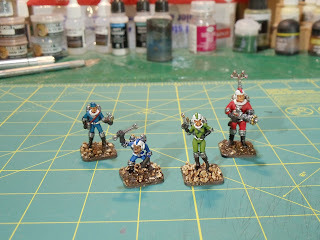 Next is a group of Galacteer heroes. From left to right: Cadet Skippy, Comet the chimp sidekick, Jane Hunter and Dr. Zahn. Finally is the Aquaclops. 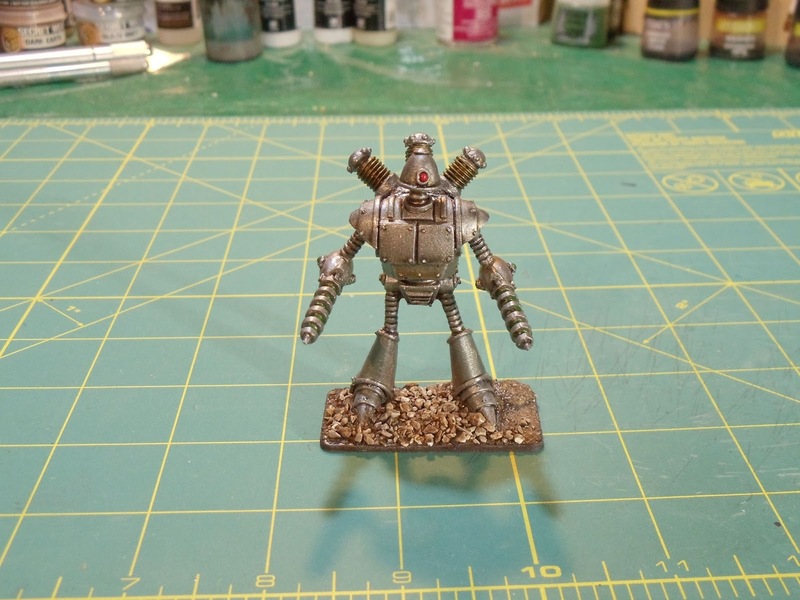 This figure is resin with a metal head. 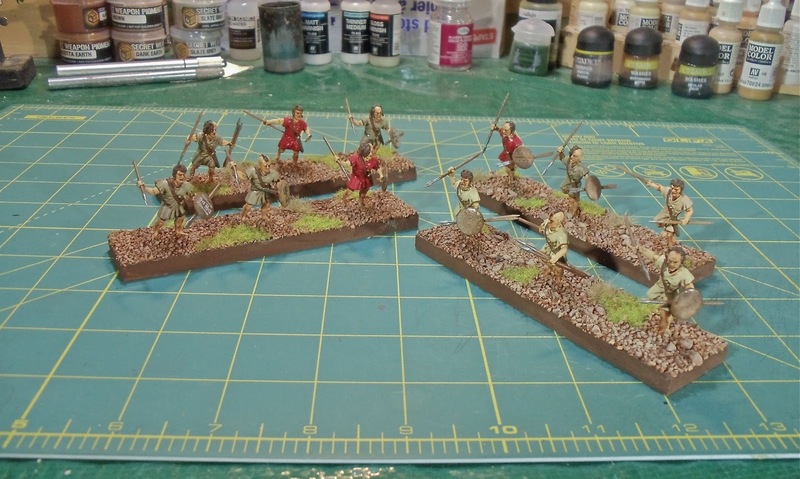 Next on my paint table is a bunch of Carthaginian Libyan spearmen. Once these guys are completed, I'll have a solid core for the infantry. I'm planning on ordering some elephants from Aventine Miniatures but I'm also going to need a bunch of cavalry and it's a pity no one (to my knowledge anyway) makes 28mm plastic cavalry. Odd. If anyone has any good suggestions for assorted Carthaginian cavalry, I'm all ears. Top of my list so far is Foundry. But before I get them completed I need to paint up a wizard and apprentice for Terry's Frostgrave campaign day on November 7th. This week saw me complete two batches of figures. 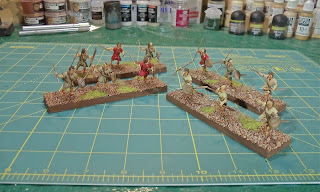 First up are 4 bases of skirmish javelinmen for my Carthaginian army. 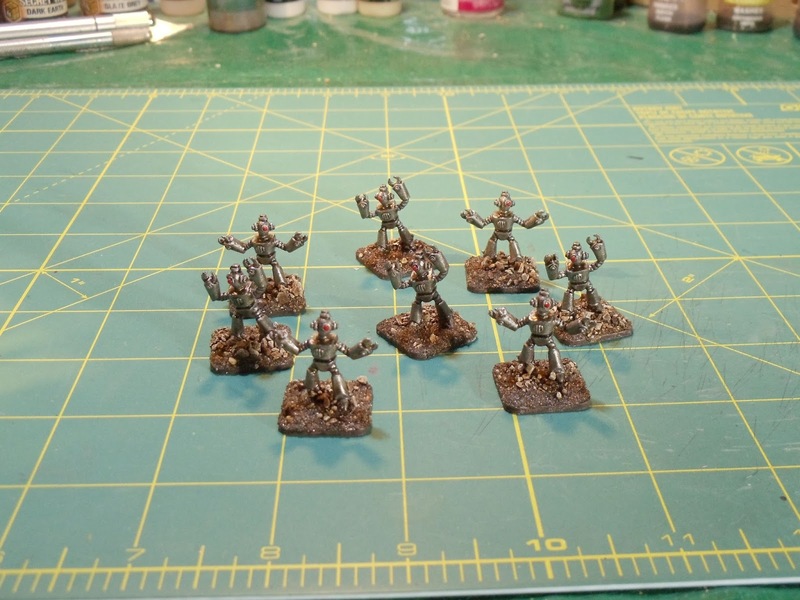 These figures are plastic figures from Victrix. Next is a batch of assorted Robot Legion figures for Retro Raygun. 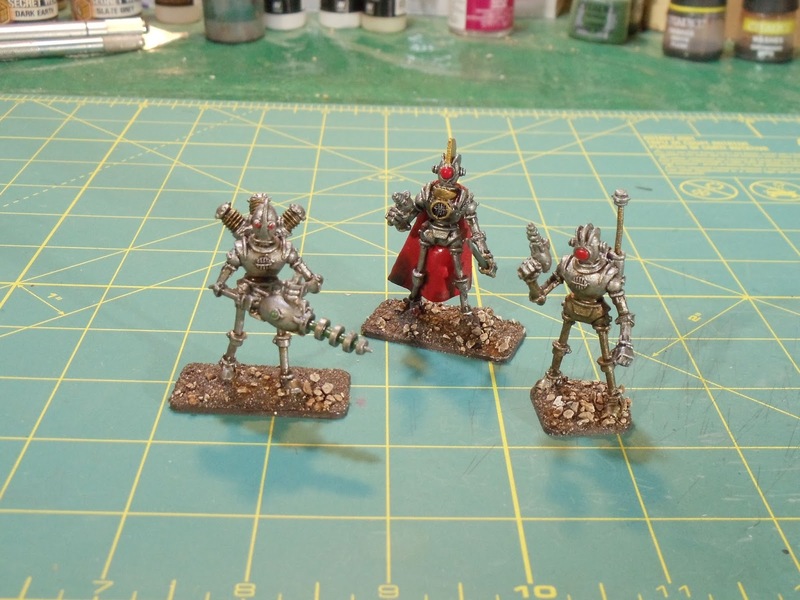 Figures are from Hydra Miniatures and are all metal. 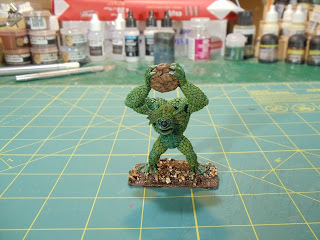 These figures are ridiculously quick and easy to paint. First is a group of 8 Minibots. 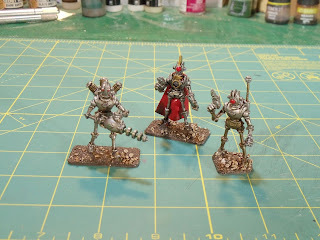 Next is a trio of Robot Legionnaires (from left to right): Heavy Support Legionnarie, Centurion, Optio (squad leader). Last figure is Warbot Destroyer. 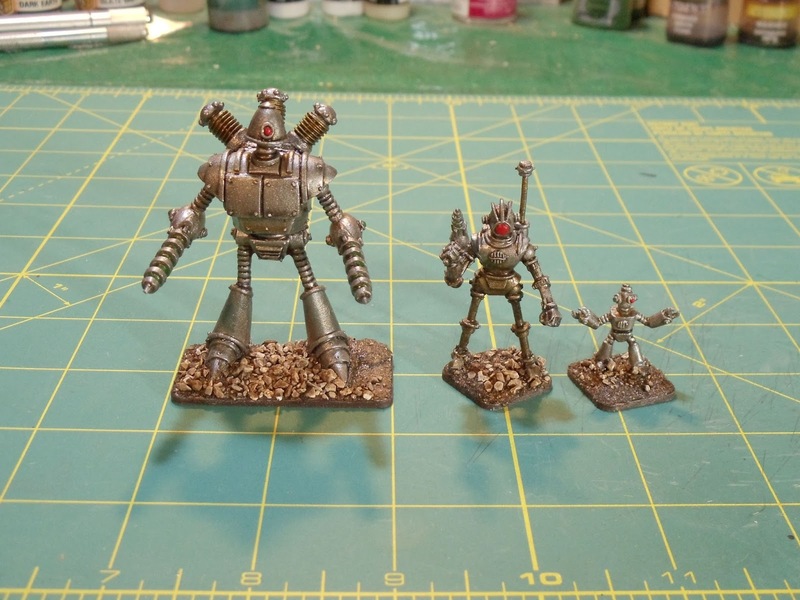 Here's a size comparison shot of the 3 sizes of robot figures. 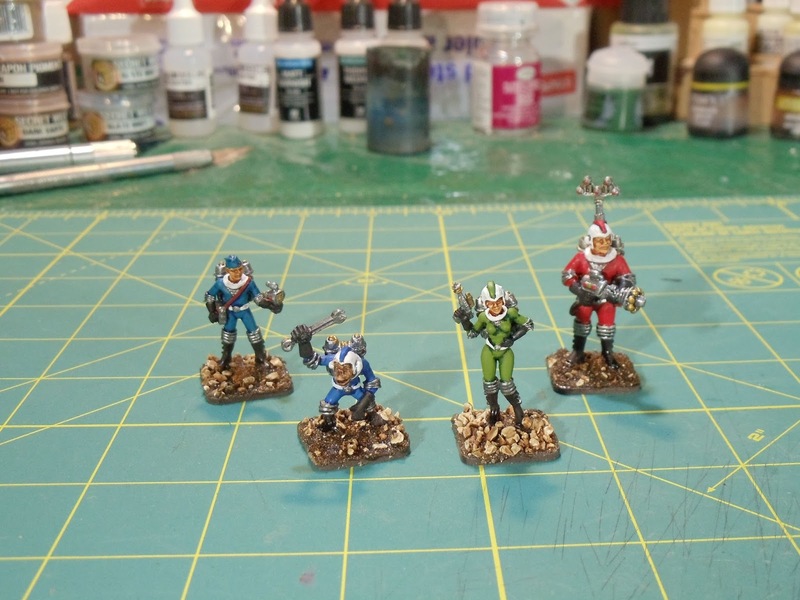 Sitting on my paint table right now is some more Retryo Raygun Galacteer figures and some more Carthaginians. Next weekend is also Fallcon so I probably won't get anything else done this week.